Smart glasses are elbowing their way into the enterprise. European businesses are looking to increase their spending on technologies enabling remote working for their employees, new research suggests. 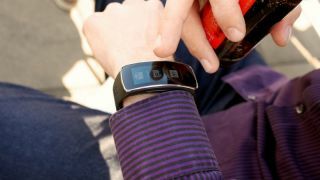 Toshiba’s new report says businesses in Europe will increase their spending on things like wearables and mobile devices. Three quarters (76 per cent) of EU-based organisations have increased IT and technology budgets this year, and more than four in five (82 per cent) predict smart glasses to be used in their business within three years. More than half (59 per cent) see hands-free as one of smart glasses’ biggest potential, and 49 per cent plan on deploying them within a year. The survey was conducted on a sample of 1,000 IT decision makers, working in either medium or large organisations, in industries like engineering, government, IT, manufacturing and retail. It was done in the UK, France, Germany, Spain and Benelux. “While the technologies available to employees are constantly evolving, it’s really interesting to see that the key challenges that IT decision makers are looking to address have remained relatively constant when compared to opinions in 2016. Organisations are continuing to balance how best to achieve the perfect blend of unhindered mobile productivity, while being protected by a robustly secure IT infrastructure. New solutions coming into the enterprise are helping to achieve this, but IT teams need to focus on the varying challenges and benefits for their individual sectors when determining how best to make these solutions work for their business,” commented Maki Yamashita, Vice President, B2B PC, Toshiba Europe.